Polished and professional application every time. Picks up and delivers the makeup without absorbing it so makeup lasts longer. Highest quality bristles; handcrafted handles for maximum control . The Powder Brush is a full, fluffy brush designed to evenly distribute powder to the face. Sweep brush across pressed powder or dip into loose powder; tap gently to remove excess and apply to the face from forehead to chin using long, light strokes. The Cheek Brush is used to accentuate bone structure or add a healthy blush to cheeks. Use the tip of this soft, angled brush to apply color to the apples of the cheeks and stroke upward along cheekbones, stopping just below the temples, then blend. This brush is also a great tool to use for applying bronzer. Apply across the bridge of your nose, temples, cheekbones and shoulders to create a gorgeous, healthy- looking glow. The Eye Definer Brush has bristles that are tapered and rounded at the end to help shape and define eyes and help blend color evenly. Sweep color softly across the eyelid and then lightly above the crease for a natural, yet polished, look. The Eye Crease Brushhas long, thin, pointed bristles and is used with midtone and darker shades of eye color to add depth to eyes. Begin by placing the brush at the outer corner of the eye and then sweep inward following the natural crease. 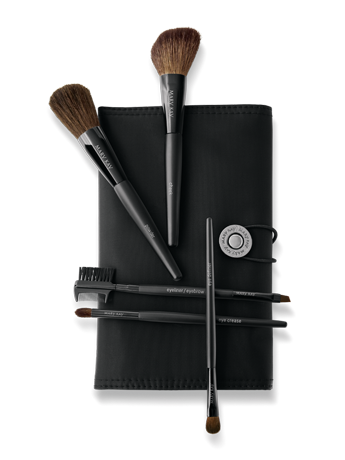 This brush can also be used to create a smoky eye look. Using the brush tip, sweep softly along lower lashes from the outer corner inward. The Eyeliner Brush is used to line eyes and enhance sparse brows with eye color. This flat, angled, short-bristle brush makes it easy to apply a thin line of color along top and bottom lashes. It's also a great tool to use for blending your eyebrow pencil. Use the Eyebrow Brush to brush brows in the opposite direction from which they grow to remove any excess foundation. 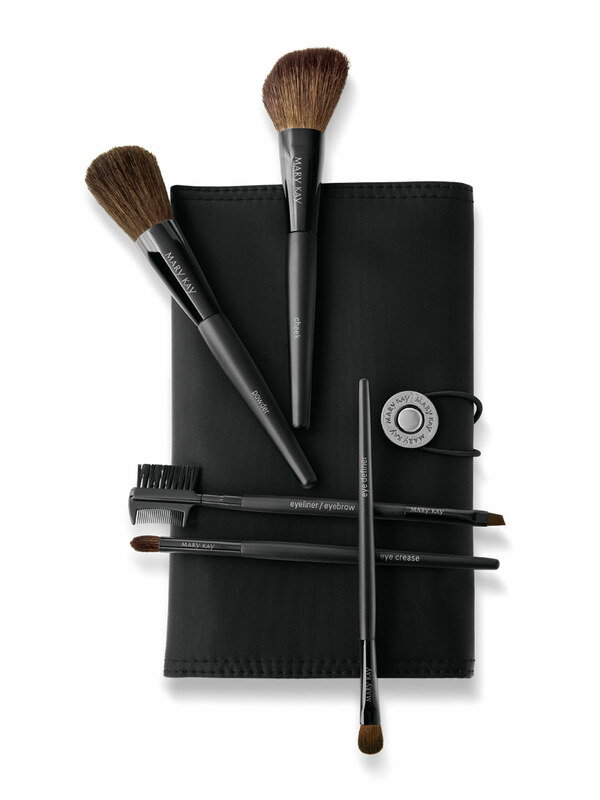 Gently brush back, following their natural shape and direction, as a finishing touch to your makeup application.